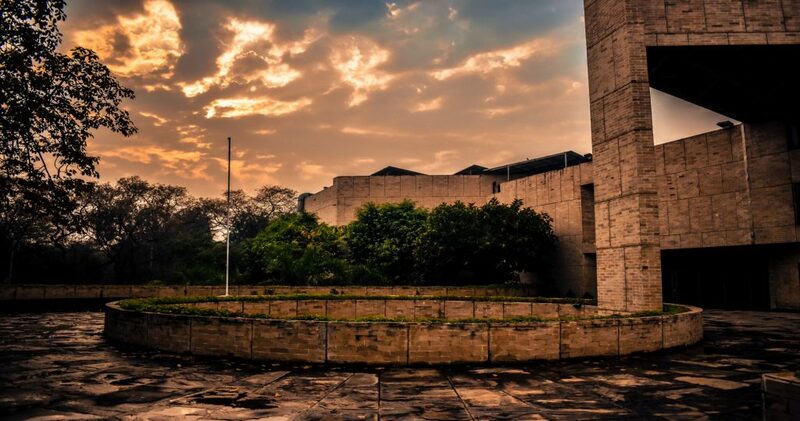 The date was 25th of June and standing at the gate of IIFT, looking at the school of my dream, I felt the pride. But why I was at IIFT campus, let’s rewind. It was 14th of April and hard work of almost a year had turned out to be fruitful. I had cleared IIFT. My dream seemed to be realized. And here I was on 25th of June to be a part of IIFT, “IIFTian”. The day of commencement started at an exciting note and a memorable moment to add to my life. Meeting with people from different places, with a different background, some high achiever, everyone with happy faces. Within the course of the day, we were introduced to the student committee, “PARICHAY”. The day of exciting turned out to tiring. sitting at the same place for almost whole day and midnight, waiting to go to bed, feeling drowsy, sleepy. the sleeping routine the eating routine everything changed. life seemed hectic, full of pressure. This routine went on and on giving most of the guys a second thought of our decision. but then came the realization. Whenever we got the chance to rest, the rest never felt like the ones before. The content and happiness that it gave were nowhere to be found. What was it? The goal of being a part of IIFT was already achieved, there I did not feel the amount of pleasure that I was feeling. The whole nighters, the rushed dinners seemed to be giving more pleasure than any of the things ever before. The important of the journey to another goal felt amazing and giving me a lesson. The goals are just the crossroads from where we tend to find another goal and take the next road towards it. The journey towards the goals are more important than the goals itself. Goals are just the certificate of achievement but it’s the journey that gives us the unique experience of life and we grow as a human being. these are the moments that will be with us for us all our lives. Thank you IIFT for the wonderful experience till now, hoping to get many more moments to capture in our journey at IIFT. I would love to be a part of Aditya Birla Idea Payments Bank Limited. Payments bank is something which has recently been approved by the RBI and Aditya Birla Nuvo Ltd and Idea Cellular have recently started operations in a joint venture as a payments bank by forming ABIPBL. This is a great move as payments bank have a lot of scope for growth in India and I being a finance enthusiast would love to be a part of this growth. It would be challenging to be a part of this from the initial years and contributing to its success would give me immense satisfaction and learning.